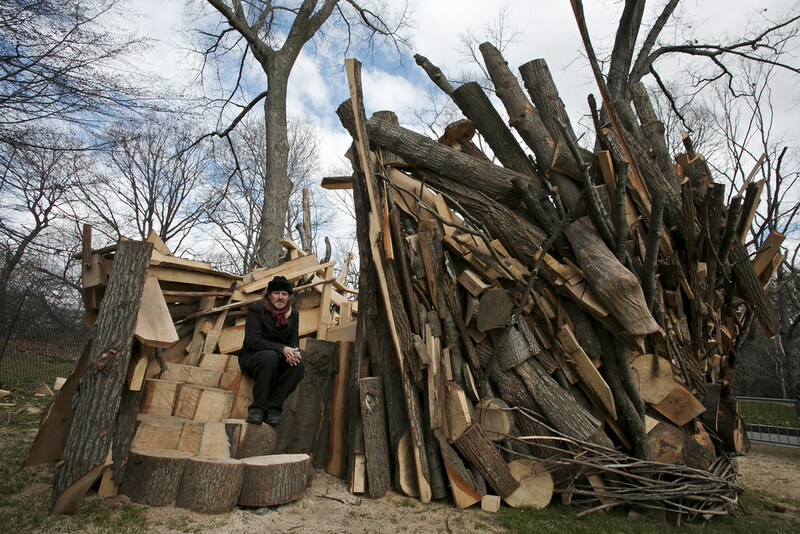 Tree house architect Roderick Romero created a new, site-specific installation using wood from trees felled by Hurricane Sandy. This whimsical, inhabitable sculpture is part open-air classroom, part viewing point, and part artwork. Created specifically for BBG, the intriguing work invites visitors of all ages to experience the Garden in a new way. Tree house architect Roderick Romero created a new site-specific installation at Brooklyn Botanic Garden using wood from trees felled by Hurricane Sandy. Photo by Caroline Voagen Nelson.